Are you ready? 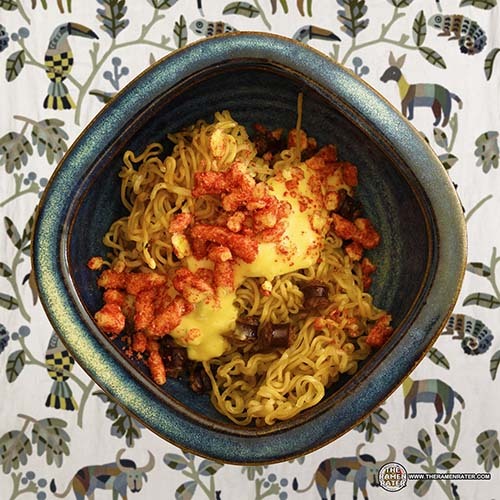 Here’s a recipe from Lane of Antlers, Oklahoma – thanks! Watch me cook it up on a special episode of Instant Noodle Recipe Time EXTRA! Watch the full cooking of this amazing thing! Click to enlarge and enjoy the film! 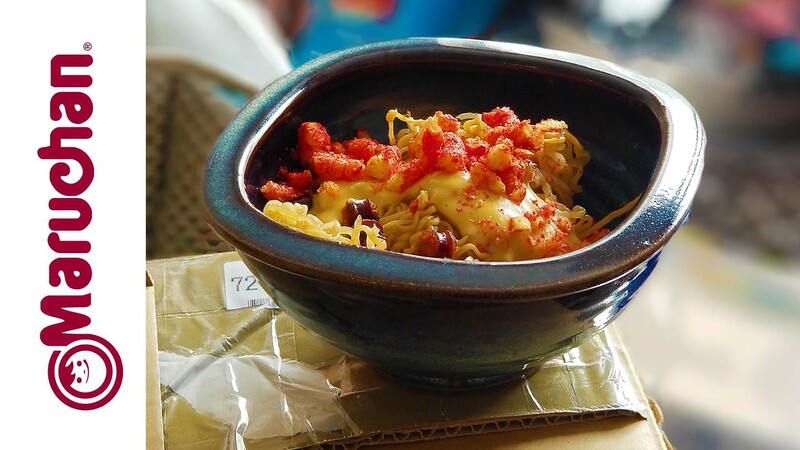 It was interesting – the crisp ramen in concert with the sauce mixture was reminisent of a cheese bite – like an appetizer with fried crispy on the outside and soup cheese inside. But the bite I had next which included the Slim Jim was vexing. It reminded me of fish which was strange. All in all, it’s been a while since I’ve attempted a kind of Franken-noodle and well worth it. Thank, Lane!